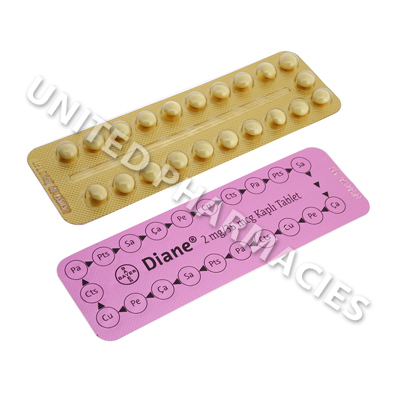 Diane 35 (Cyproterone Acetate/Ethinyloestradiol) is a contraceptive pill that doubles as a very effective acne treatment. 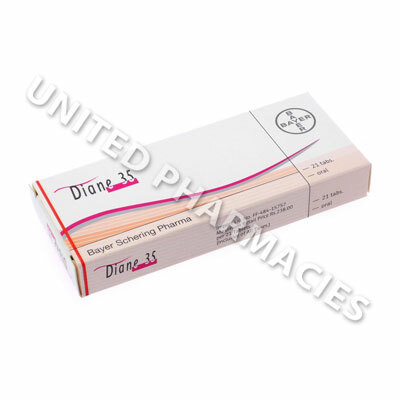 Diane 35 provides contraceptive protection as reliable as other pills while it also relieves acne, greasy skin and hairy skin. 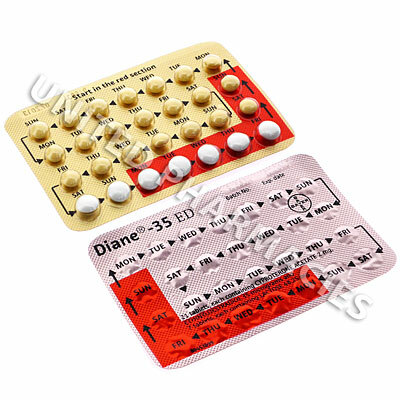 Diane 35 (Cyproterone Acetate/Ethinyloestradiol) is a contraceptive pill that doubles as a very effective acne treatment. 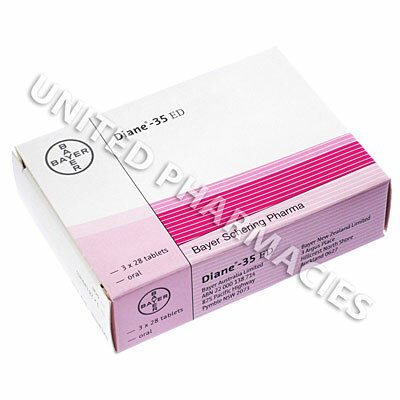 Diane 35 provides contraceptive protection as reliable as other pills while it also relieves acne, greasy skin and hairy skin. Essentially, Diane 35 works by regulating your hormones: estrogen and progestogen (reproductive hormones) and androgen (which can cause acne, by prompting excess oil production in your skin). Ask your physician for instructions on how to start taking this medicine. Take one pill at the same time each day. 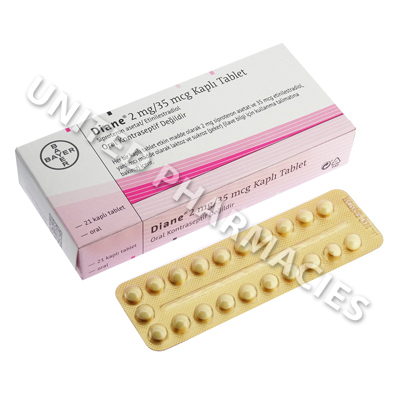 The contraceptive properties that this medication has does not come into effect until approximately one months usage. Like any other effective medicine, Diane 35 (Cyproterone Acetate/Ethinyloestradiol) can have undesired side effects. As a general rule these occur only in a small percentage of patients and most, but not all, are reversible and of a minor nature. In rare cases, headaches, gastric upsets, nausea, a feeling of tension in the breasts, changes in body weight and libido, or depressive moods can occur. Individual cases of poor tolerance of contact lenses and allergic skin rash have been reported. Please consult your physician about any change in your health or general sense of well-being you notice while taking Diane 35 (Cyproterone Acetate/Ethinyloestradiol). Please inform your physician if you suffer from any of the following disorders: cardiac or renal dysfunction, diabetes, high blood pressure, varicose veins, otosclerosis, multiple sclerosis, epilepsy, migraine, porphyria, tetany or chorea minor. In all these cases, and also where there is a history of phlebitis, a history of depression, or a tendency to diabetes, Diane 35 (Cyproterone Acetate/Ethinyloestradiol) may only be taken under strict medical supervision. According to current scientific opinion, an association between the use of progestogen-oestrogen combinations and an increased risk of venous and arterial thromboembolic diseases cannot be ruled out. 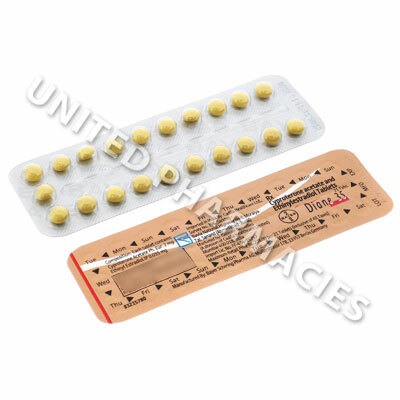 The risk of thrombotic and cardiac effects from oral contraceptives increases with age and is aggravated by cigarette smoking. In some women, the long-term use of hormonal preparations such as Diane 35 (Cyproterone Acetate/Ethinyloestradiol) can sometimes cause brownish patches on the face which are made worse by long exposure to the sun. In rare cases benign and in even rarer cases malignant liver tumours leading in isolated cases to life-threatening intra-abdominal haemorrhage have been observed after the use of hormonal substances such as those contained in Diane 35 (Cyproterone Acetate/Ethinyloestradiol). Inform your physician if you experience unusual upper abdominal complaints which do not disappear spontaneously within a short time.